That the white body version? I wish I was a half decent modeler and painter, I'd attempt a white body myself but just don't have the skills. I just noticed that the Glosscoat versions don't have the bonnet scoop????? Does the whit body one have it in the kit? How about doing it Mica blue and adding some old school Coloin Mcrae decals? 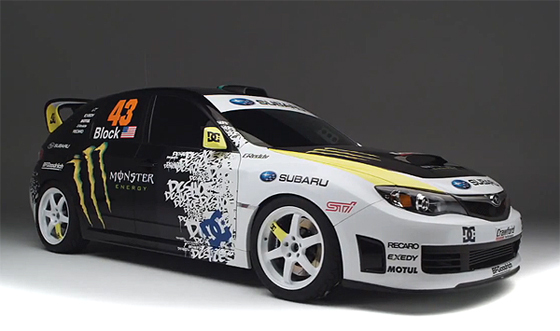 Ooooo, I like the Ken Block version! You'd have to be really good with an airbrush I think to get that effect. I didn't even know the white bodies were available already! To be honest, I'm liking this body more and more and I think I like it best in black. Last edited by boohoo; 2009.10.21 at 02:57 PM. off topic,what rims are on that white scooby in the background? Last edited by boohoo; 2009.10.21 at 04:21 PM. They don't have the hood scoop because they are modeled on the WRC version, which uses a front mounted intercooler, instead of a top mount, and don't have the scoop as a result. 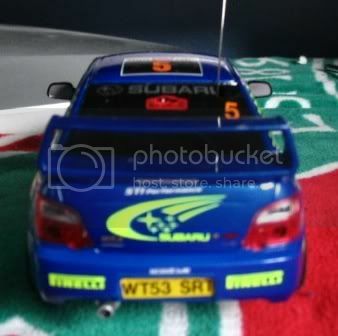 Thats the kit that has the Mcrae/Grist decals. 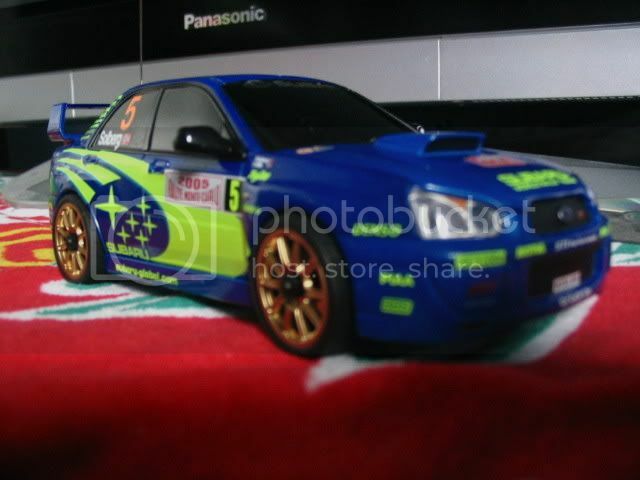 you could do what I did, When I had my 1st xmod I bought a 1/24 scale kit and used the decals off that to rally up my xmod scoob. Last edited by ScoobyPete; 2009.10.22 at 05:08 AM.